When rummaging around a local re-use centre this morning, I came across a pile of fishing books on a table. 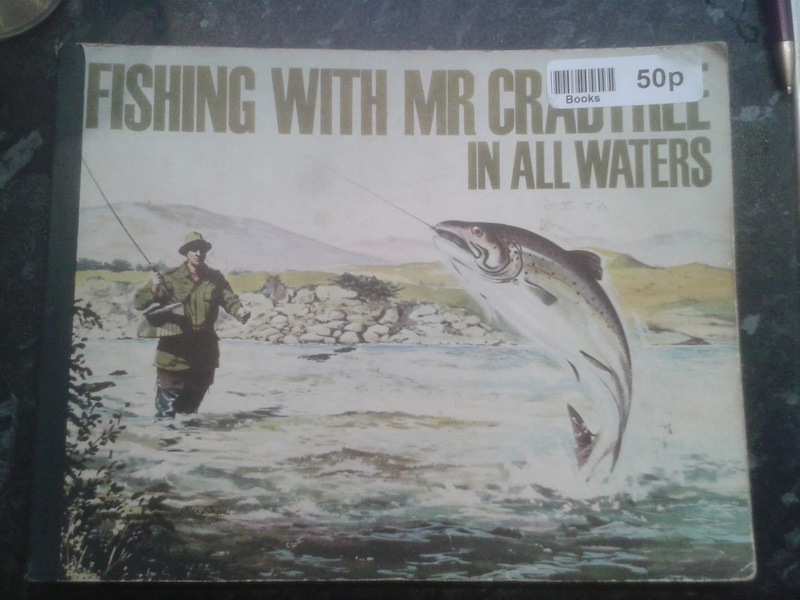 The majority of the books were on the subject of fly-fishing (which doesn’t really interest me), but nestled towards the bottom of the pile, were two Mr Crabtree Goes Fishing books. Created by Bernard Venables, Mr Crabtree goes Fishing was an iconic comic strip that featured in the Daily Mirror in the 1940s. It was the story of a father who took his son Peter on a series of angling adventures throughout the year. 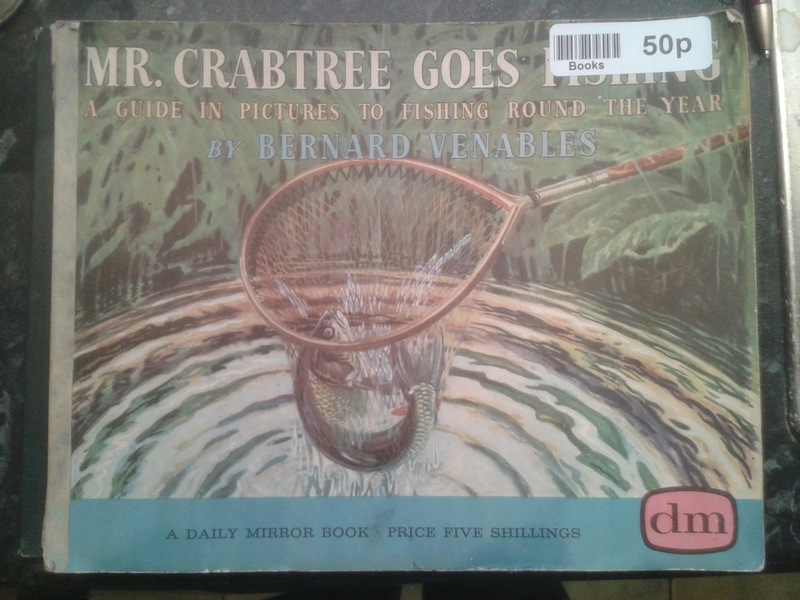 Mr Crabtree Goes Fishing – 8th edition - 1960. Venables went on to co-found the Angling Times newspaper and is fondly remembered as being one of the most influential anglers and writers on the subject, of the 20th century. To say I was chuffed with my find would be an understatement, and for 50p each, I think I got myself a bargain (have seen a similar copy of one, sold on Ebay for £9). Whatever Happened to Steptoe and Son? (the Rag-and-Bone Man). 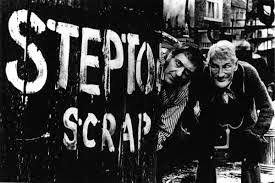 Recently, Satellite and Cable TV station “Gold” has been showing re-runs of the wonderful Steptoe and Son, the BBC’s iconic sitcom from the 60s and 70s, outlining the story of a father and son rag-and-bone man business. Based in the supposedly fictitious Oil Drum Lane in London’s Shepherds Bush, the TV show was a huge success, running for 8 series between 1962 and 1974. 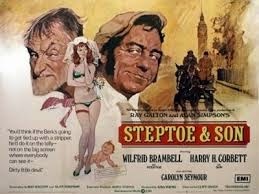 There were also 2 spin off movies resulting from the series and it catapulted both Wilfrid Brambell and Harry H Corbett into TV super-stardom during that iconic period of British sitcoms. But what exactly was a rag-and-bone man, what did he do, and how come we don’t see them around anymore – or indeed, do we? 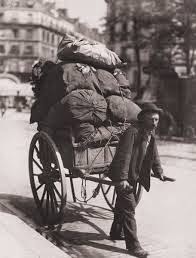 Back in the 19th century, the rag-and-bone man scavenged the streets of the area where he was based, on the look out for unwanted rags, bones, metal and any other waste material he considered he could make money from. At that time they generally worked on foot and were usually to be seen carrying a filthy bag on their back, where they would store their finds. Dry rags would fetch anything up to 3 old pennies for a pound weight, whilst bones were used for the production of knife handles, toys and ornaments. On a good day, a rag-and-bone man would probably earn around sixpence for his toil. In 1954, a report in the Manchester Guardian claimed that some men could earn up to £25 a day collecting rags, although this figure is highly questionable. Usually the rag-and-bone man would pull his own hand cart or wheelbarrow, but the more prosperous would have a horse drawn cart which would enable them to cover a larger area. After that time the trade began to fall into steady decline and by the 1980’s they had all but disappeared from the streets. However in recent times, with the increased price of scrap metal, a form of rag-and-bone man has returned, usually driving a van and using a megaphone to attract attention. Saying that, where I live in Central Bedfordshire, we occasionally get a visit from the rag-and-bone man in a van and he still uses a bell which he rings out of the window as he drives by. Every time he passes, it is always guaranteed to annoy my dog who barks and chases him down the garden. The creators of the show, Ray Galton and Alan Simpson (famous for working with Tony Hancock), were insistent upon 2 actors, as opposed to comedians, being given the parts, as they didn’t want them just looking for laughs. In the early days, the show regularly commanded an audience of 28 million (this was long before the onset of satellite and cable TV which severely diluted TV audiences). Corbett originated from the English north-west (Manchester) and spoke in a north-country accent. He considered himself to be a “serious actor” and in his early career, was at one stage dubbed as Britain’s answer to Marlon Brando. However he believed his type-casting in the TV role caused him problems in finding other work, which kept forcing his return to reluctantly playing the younger Steptoe. There were many stories that the 2 never saw eye-to-eye and clashed regularly. Both Corbett’s family and Galton & Simpson have always refuted these claims. Harry H Corbett passed away in March 1982 from heart failure. There is footage available of an obviously distressed Wilfrid Brambell paying tribute to his co-star in a news report, which pours cold water somewhat on any stories of continued ill-feeling between the two. Brambell died of cancer in January 1985. Other versions were made of the show in various countries across the globe. It was remade in the US as Sanford and Son, in Sweden as Albert & Herbert and in the Netherlands as Stiefbeen en zoon. If you have enjoyed this posting, may I request that you click on one of the adverts featured on the page (they earn me the odd penny or two allegedly!). 40 years ago today, the newer Paris airport at the northern suburb of Roissy opened. Named after French leader Charles De Gaulle (1890 – 1970), it is located approx. 16 miles to the north-east of the French capital and is the 2nd busiest airport in Europe (beaten only by Heathrow in London). In 2012 it was the 7th busiest in the world. The planning and construction of what was originally known as l’aéroport de Paris Nord, commenced in 1966 and it now covers an area of approx 8,000 acres of land. The main architect was Paul Andreu, who also planned airports in Manila (Philippines), Jacarta, Shanghai, Abu Dhabi, Dubai, Brunei and the smaller original Paris location at Orly. I had the pleasure of travelling into Charles De Gaulle Airport on an Air France jet from Heathrow a few years ago. I must admit that I was suitably impressed with the airline, finding that there were only 14 people on the flight and everyone was transferred up into Business Class. Getting to the other end, everything seemed to run smoothly and a pleasant trip was had all round. Going back to Heathrow was another story, best left for another time maybe.